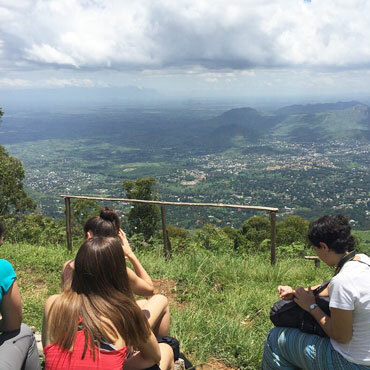 With a prospect of doing and seeing so much, we guarantee that you will have the time of your life on the tour. 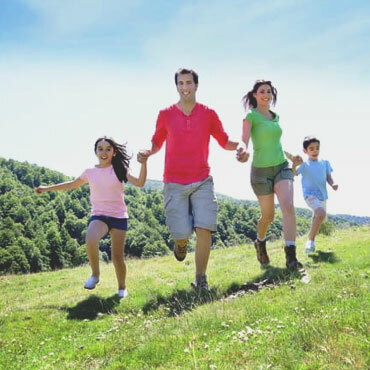 We understand precisely what travellers want, and accommodating their requirements in our packages has made us the preferred travel portal in the country. 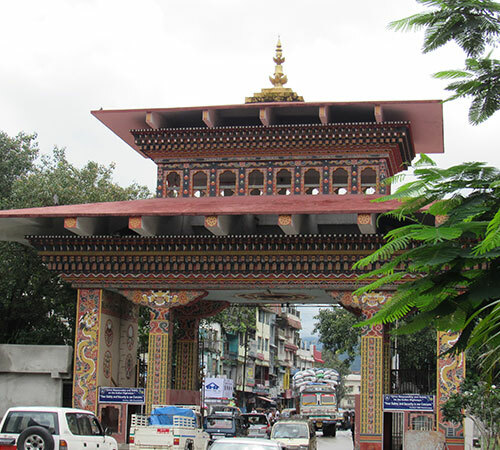 Begin creating happy memories right from your arrival at Bagdogra Airport, where our representative will meet you and assist in your transfer to Phuentsholing. After an early breakfast drive to Punakha via Dochu La. 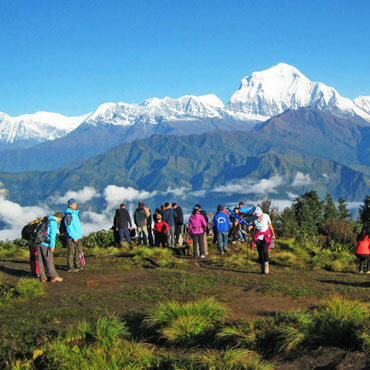 Dochu-la pass located at a height of 3,088m/ 10,130 ft is a scenic location with chortens chorten, mani wall, and prayer flags which decorate the highest point on the road. 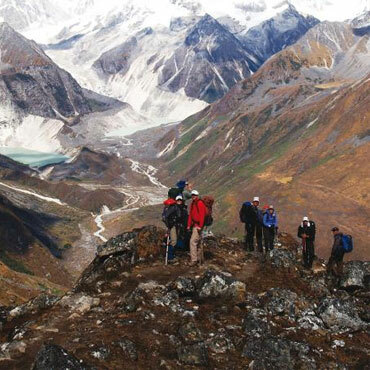 If skies are clear, it may be possible to see the following peaks from this pass in the order left to right: Masagang (7,158m), Tsendagang (6,960m), Terigang (7,060m ), Jejegangphugang (7,158 m), Kangphugang (7,170 m ), Zongphugang (7, 060 m ), a table mountain that dominates the isolated region of Lunana - finally Gangkar puensum, the highest peak in Bhutan at 7,497m, after this uplifting experience proceed further to Punakha. Later visit to Punakha Dzong, Built strategically at the junction of Pho Chhu and Mo Chhu rivers in 1637 by Shabdrung Ngawang Namgyal to serve as the religious and administrative centre of the region, Punakha Dzong has played an important role in Bhutan’s history. 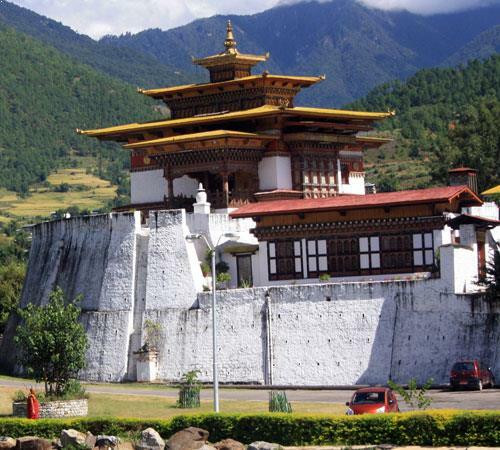 Damaged by four catastrophic fires and an earthquake, the Dzong has been fully restored by the fourth King. Afternoon is also scheduled for an excursion to Chimi Lhakhang. 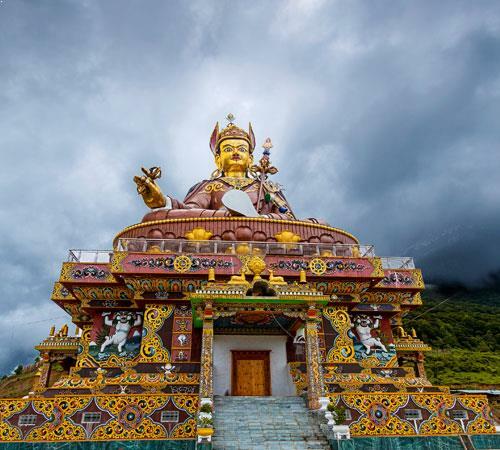 Situated on a hillock in the centre of the valley, this temple is dedicated to Lama Drukpa Kuenley, who in the late 15th century used humour, songs and outrageous behaviour to dramatise his teachings and due to this also known as ‘Divine Madman’. This temple is also known as the temple of fertility. It is widely believed that couples who do not have children and wanting one, if they pray at this temple, they are usually blessed with a child very soon. It is about 30 minute walk across field from the road to the temple. The trail leads across rice fields to the tiny settlement of Pana, meaning ‘field’. It then follows a tiny stream downhill to Yoaka and across more fields before making a short climb to Chimi Lhakhang. 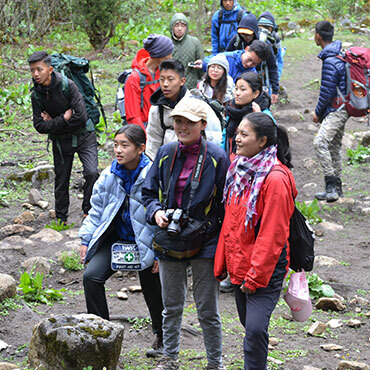 After breakfast a beautiful hike takes one to the regal Khamsum Yuelley Namgel Chorten, which was built to remove negative forces and promote peace, stability and harmony in the changing world. The Chorten dominates the upper Punakha Valley with commanding views across the Mo Chhu and up towards the mountainous peaks of Gasa and beyond. 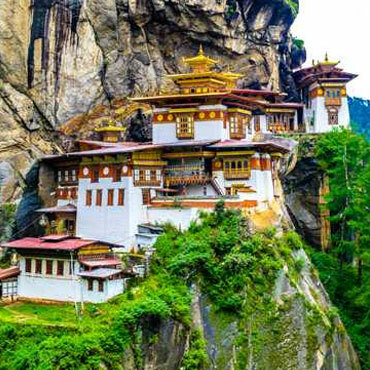 Wangdue Phodrang district of western Bhutan, is also the name of the dzong (built in 1638) which dominates the district, and the name of the small market town outside the gates of the dzong. The name is said to have been given by the Shabdrung Ngawang Namgyal who was searching for the best location for a dzong to prevent incursions from the south. At the chosen spot the Shabdrung encountered a boy named Wangdi playing beside the river and hence named the dzong "Wangdi's Palace".